Master Operators (MOs) are small-scale semi-autonomous water providers who serve low-income areas in Kisumu, overseen by Kisumu Water and Sewerage Company (KIWASCO) through a Delegated Management Model. MOs extend the supply network to many of the city’s poorer residents for a fair price and have helped to semi-regulate previously informal water services. However, they have a poor growth and performance record. 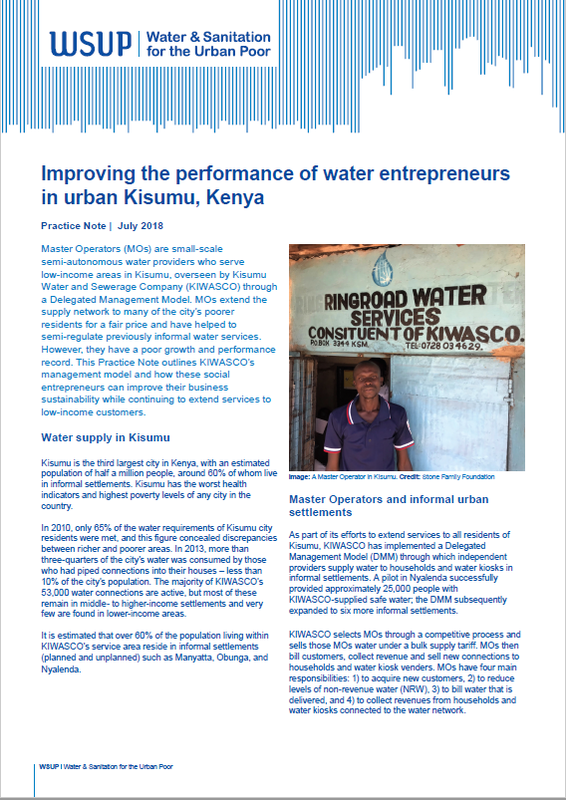 This Practice Note outlines KIWASCO’s management model and how these social entrepreneurs can improve their business sustainability while continuing to extend services to low-income customers.